This recipe comes from RESULTS dietitian Madeleine Holloway. A delicious fiber-rich breakfast, pre-workout, or mid-afternoon snack. 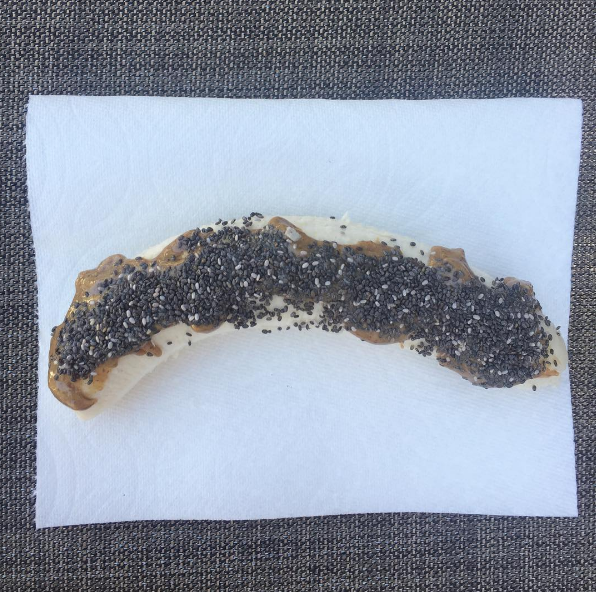 Banana topped with peanut butter & chia seeds is a great go-to snack throughout the day. Experiment with nut butters like peanut butter, almond butter, pecan butter or sunflower seed butter. Serves as a tasty snack for all ages.